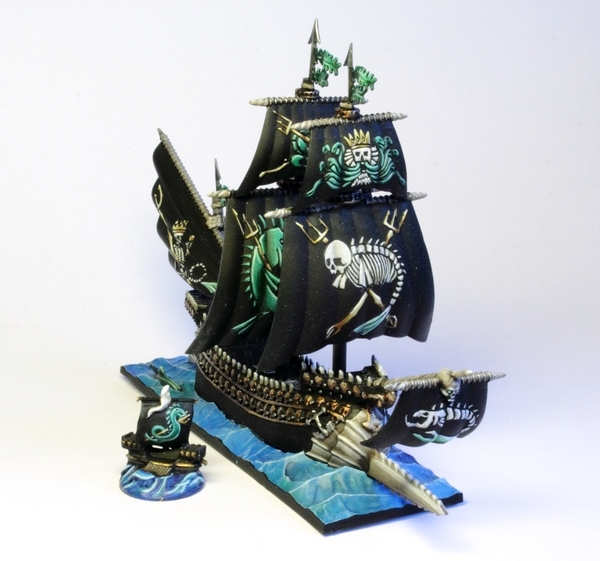 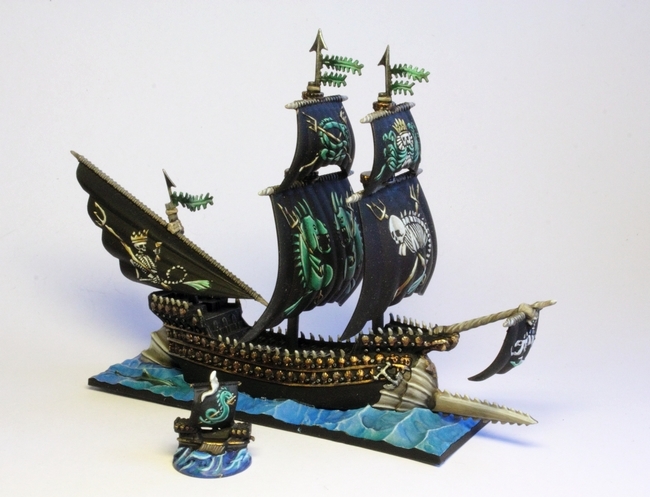 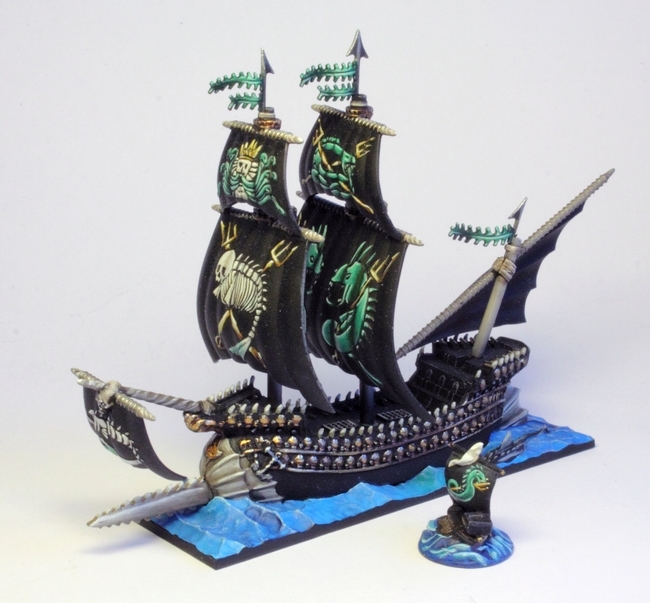 Last but not least in our series of Dreadfleet ships, here is the Swordfish. Another classic design but lots of fun stuff going on on the sails and stark contrasts. The big fish guys on the mid mast look like they're letting is know that they're "chargin' mah lazer". The little eeldragon thing on the sail of the cog is always fun to do.